On Arrival At Banglore Airportrailway Station You Will Be Meet By Our Representative And Will Transfer You To Maysore.On Arrival At Maysore Check Into Hotel. Overnight Stay At Hotel. Spotted Deer, Nagarhole National Parkam 0900 After Break Fast Check Out From Hotel And We Transfer You To Begins With Reaching The Nagarhole National Park, Which Is Located At A Distance Of 80 Kilometers From Bangalore. A Wildlife Trip On The Afternoon Jeep Safari Trip Is Followed By An Overnight Stay At The Local Wildlife Hotel. Am 0900 Hrs After Breakfast We Take You To Wildlife Tours And Bird Screening In The Park Or A Coracle Ride On The Kabini River Are The Engagements Which Kick Start An Eventful Day Of The Tour. Enjoy An Evening Jeep Ride Or An Elephant Ride Into The Nagarhole Jungle With The Day Culminating With An Overnight Halt At The Local Lodge. Am 0900 Hrs After Breakfast We Take You An Eventful And Exciting Trekking In B R Hills For Witnessing The Spectacular Wildlife Of The Region. An Overnight Stay Follows In The Specially Provided Tents. Am 0900 Hrs After Breakfast You Can Enjoy The Full Day Wildlife Viewing And Strenuous Bird Watching. An Overnight Stay In The Tents Follows Suit To Round Up The Day's Activities. 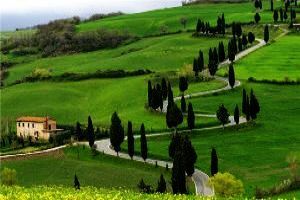 Includes Within Its Itinerary An Early Morning Departure To Bandipur Which Is A 4 Hour Drive After Devouring A Hearty Breakfast. A Sumptuous Lunch At The Resort Follows And The Afternoon Is Spent Inside The Wildlife Sanctuary In Jeeps. Overnight Stay At The Resort Follows Suit After The Daylong Tete A Tete With The Wildlife Of The Region. Elephants, Bandipur National Park Tour And Travelam 0900 Hrs After Breakfast You Can Enjoy The (includes Within Its Schedule) Round Of Morning And Evening Wildlife Viewing And Bird Watching. Overnight Stay In The Resort. Am 0900 Hrs After Breakfast We Take You To Ooty For A Distance Of 80 Kilometers From Bandipur National Park. On Arrival At Afternoon Check Into Hotel. Rest Of The Day Free For Independent Activities. Overnight Stay In Bandipur Resort. 0900 Hrs After Breakfast We Take You To Munnar. On Arrival At Munnar Check Into Hotel. Afternoon At Leisure Local Use In Munnar. Overnight Stay In Hotel, Munnar. 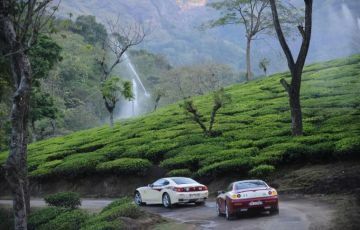 Am 0900 Hrs After Breakfast We Take You To The Legendary Hill Station, Which Is Also The Spice Capital Of Kerala, Munnar. A Trip To Eravikulam National Park Will Consume The Rest Of The Day For A Weary Tourist With A Subsequent Overnight Stay In The Local Resort. Am 0900 Hrs After Breakfast We Take You To Visit The Eravikulam National Park For Wildlife Sights. Afternoon We Take You To Periyar. 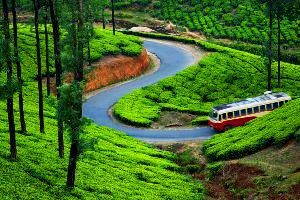 Its Will Take 3 Hours From Eravikulam National Park. Overnight Stay In Hotel. Am 0900 Hrs After Breakfast We Take You To Boat Cruise, Attraction Of The Sanctuary With The Whole Concoction Being Made Too Good To Neglect As One Is Witness To The Regaling Sight Of Wild Elephants Pleasing Themselves In The Lake Or One Can Opt For The Antics Of The Domestic And Migratory Birds, Also. Overnight Stay In Hotel. Elephants, Periyar Wildlife Sanctuary Tour And Travelam 0900 Hrs After Breakfast We Take You To Kumarakom (5 Hours.) Arrivals At Kumarakom Check In Hotel. Rest Of The Day Free For Independent Activities. Overnight Stay In The Resort. Day 15 Of The Wildlife Tour. Overnight Stay At The Resort. Am At Leisure, Later We Will Pick Up From Hotel And Transfer You To Trivandrum Airport.